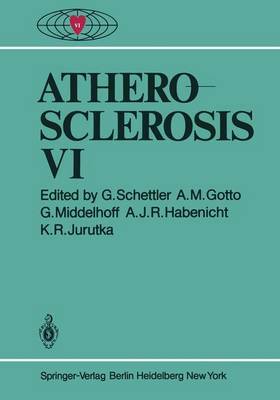 In 1982 Berlin was host for the second time to the International Symposium on Atherosclerosis. In 1973 the third symposium was held there, following the first in Athens -opened by the unforgettable Paul D. White -and the second in Chicago, where the great gentlemen of atherosclerosis research - Louis Katz and Irving Page - left their special imprint on the meeting. Since the third symposium in Berlin impressive advances have been made in the field of atherosclerosis. The symposia in Tokyo in 1976 and in Houston in 1979 introduced important new knowledge from current research, stimulating worldwide interest; Berlin highlighted the latest developments. The International Atherosclerosis Society (lAS) provides an international forum for the entire field of atherosclerosis research. Its main purpose is to apply the results of basic research to clinical medicine, and thereby to benefit the practitioner. Prevention and rehabilitation are of special importance. Intensified international cooperation is urgently needed at all levels. A declared goal of the lAS is contact between young investigators and between international research and work groups. Participating in the Berlin meeting were 1400 researchers from 42 nations. This illustrates the growing interest in atherosclerosis as the leading cause of death in "developed" societies. However, the incidence of atherosclerosis is increasing worldwide, although there are national differences in the pattern and appearance of the disease; this was documented at the Berlin Symposium.